Join us at our February Business Luncheon on 26 of February 2019 and explore strategies and techniques for running a small to medium business with confidence. Getting a small business off the ground is a feat in itself. But once you've made your business idea a reality, you're faced with an array of new challenges which—if managed improperly—can dominate your time and prevent you from achieving greater success. At the luncheon, you will learn strategies and techniques for running a small to medium business with confidence. 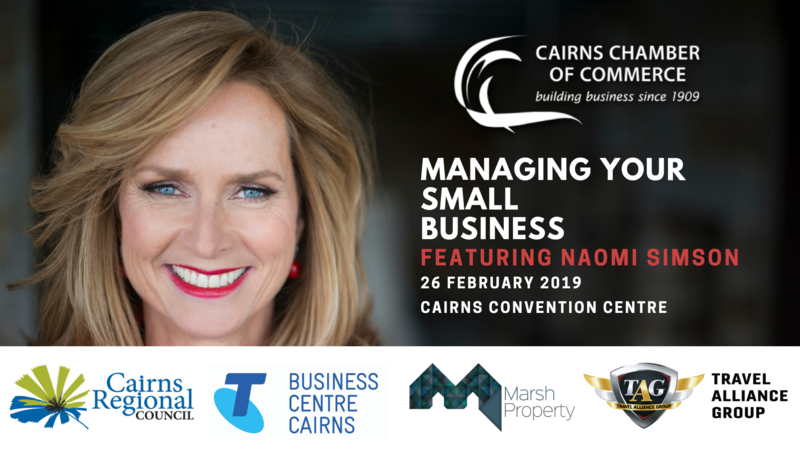 Join Naomi Simson—the founder of RedBalloon and a Shark Tank Australia judge—as she shares key lessons that can help you define your purpose and values, establish a framework for success, and promote your business in a smart, cost-effective manner.